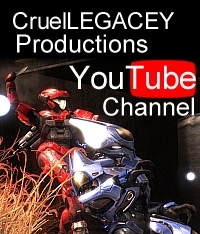 Playtime Season 4, Destiny, Halo 4, and more! A vast array of technical difficulties (RIP SynchTube) tried to slow us down, but nothing could stop us from recording another great episode of The Running Riot Podcast. Thanks again to Kete and Dustin! This entry was posted in Destiny, Halo 4, halo reach, Playtime, Playtime News, Video and tagged destiny, halo 4, halo reach, playtime season 4, the running riot. Bookmark the permalink.